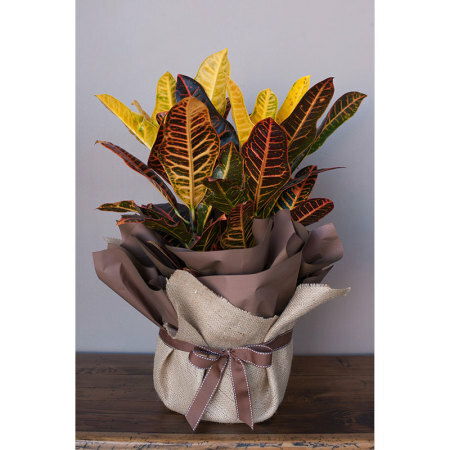 This beautiful plant creates a bold statement with their striking Autumn shades of yellow, orange and red leaves. Low maintenance ideal gift for corporate clientlelle or a hardy gift for any occasion. It loves being in a sunny window or a shady spot outside where it will thrive for many years.